This shop about easy craft ideas has been compensated by Collective Bias, Inc. and its advertiser. All opinions are mine alone. I can’t believe it is already May and summer break is about to emerge onto our household. This means kids everywhere. Not only my own, but neighborhood kids as well. Sweaty kids that have been running around the neighborhood having fun and getting into a little mischief. I don’t mind having the kids at our house, in fact I sort of like knowing where they are. However, I need to be stocked up with snacks and drinks. I recently bought the SunnyD 24ct. 6.75oz. bottles in the Tangy Original flavor to help quench their thirst. I was wondering what I could do with all those empty plastic bottles. I had the kids get involved and we came up with these easy DIY Craft ideas with Plastic Bottles and SunnyD. Having more kids around, most often means a little entertaining as well. 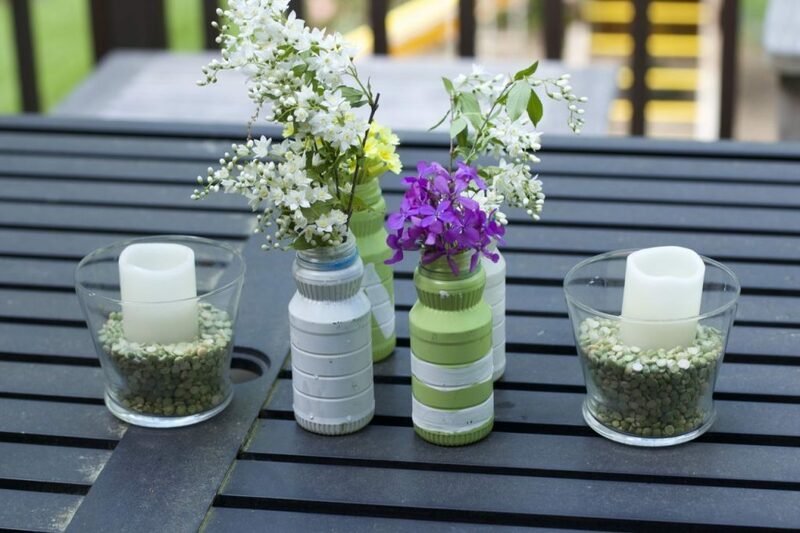 We have a great flowering garden at home and what better way to show off our flowers than in these adorable DIY Plastic Bottle Vases. No worries about broken glass with these plastic vases. I think they look like those expensive ceramic vases too. Simply drink the SunnyD. (Easy) Wash out the bottles. Spray paint the outside of the bottles. Once dry you can also use acrylic paint to decorate further. Fill with water and cut flowers. Stagger a few vases together for a great summer tablescape. The kids and I also love to cook and I often ask them to go to the herb garden to grab something for dinner. Sometimes they fuss about going around the house to retrieve an herb. Well ,we have solved that problem. Create a hanging herb garden. 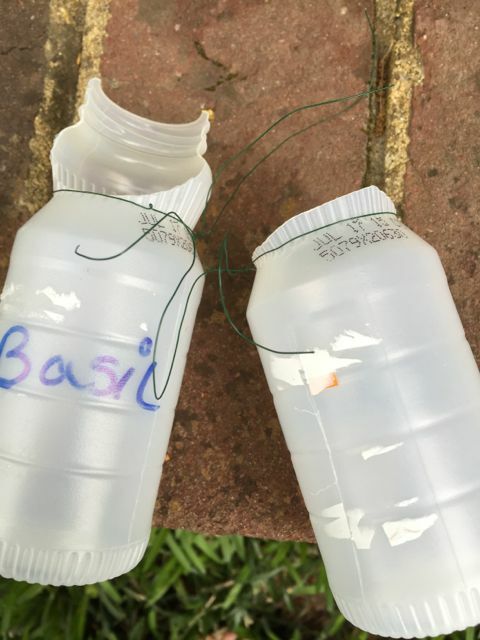 These little SunnyD bottles can easily transform to herb planters that you can hang from your deck or fencing. Simply drink the SunnyD. (Easy) Wash out the bottles. Sound familiar yet? I like to cut a little off one side for a larger opening. 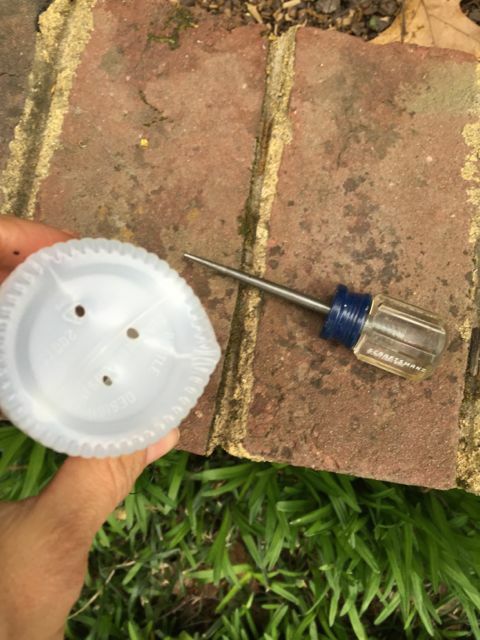 Poke some drainage holes in the bottom of the bottle. Wrap the new planter with floral wire or any sturdy roping material. Now the herbs I use most often, are within arms reach. You can find the SunnyD 24ct. 6.75oz. 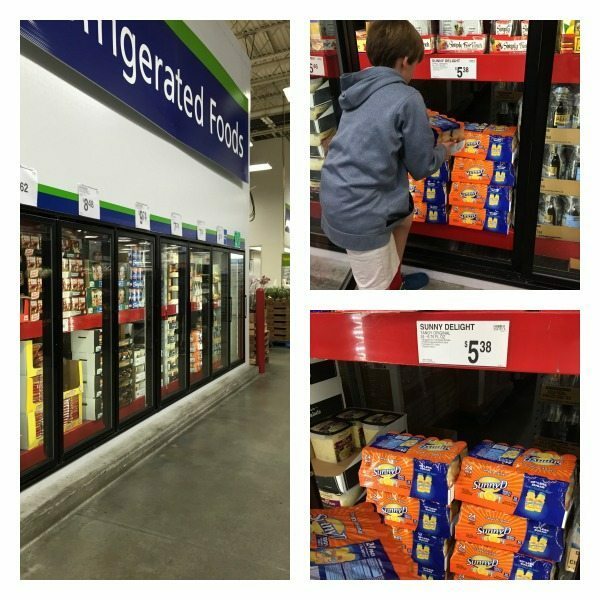 bottles in the Tangy Original flavor at Sam’s Club. Showcased in the front end caps of the refrigerated section. They should be on Rollback at $5.38 vs. the original retail price of $5.98. Prices valid until the first week of August! So what is your excuse, invite the kids over and have some Summer Fun. No reason just to celebrate their childhood and the beauty of Summer Vacation. 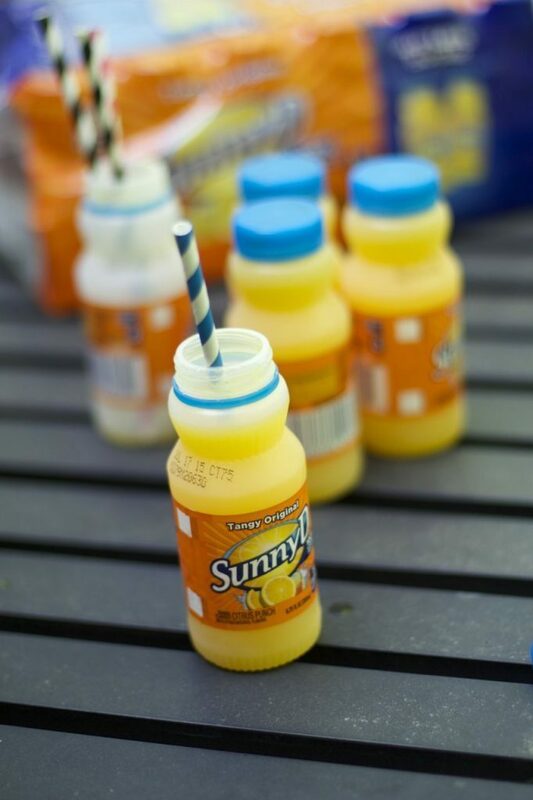 What Craft Ideas do you have using these SunnyD Bottles? thanks for stopping by Nina, I will come by in a bit. OMG, I am totally doing this. Thank you for this simple but doable DIY project for me and the kids. I am dropping by from the Friday Frenzy Craft and Recipe party. I love this idea! 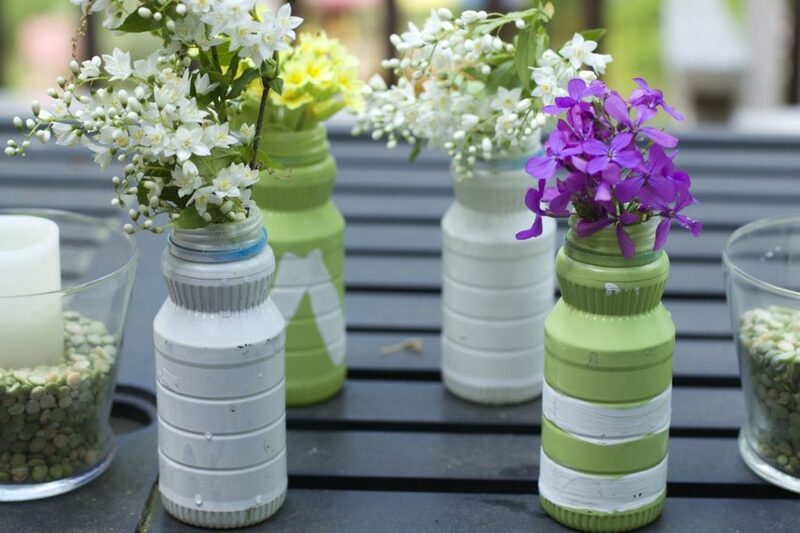 What a wonderful way to use those cute-shaped little plastic bottles. I have a website — Grandma Ideas — where I share ideas of things that grandmothers can do with their grandchildren to strengthen their relationship. I think my readers would love this idea and have fun making them with their grandkids. I am having a link party (that closes at midnight tonight). I invite you to share this and any other ideas that you might like at http://grandmaideas.com. This would be the perfect DIY project to do with my niece (well, she would probably only want to do the flower part.) This looks like a fun project, and it turned out so pretty with the flowers. It really looks like Spring. This is such a cute idea. I love making things out of recycled items. this is such a great idea. 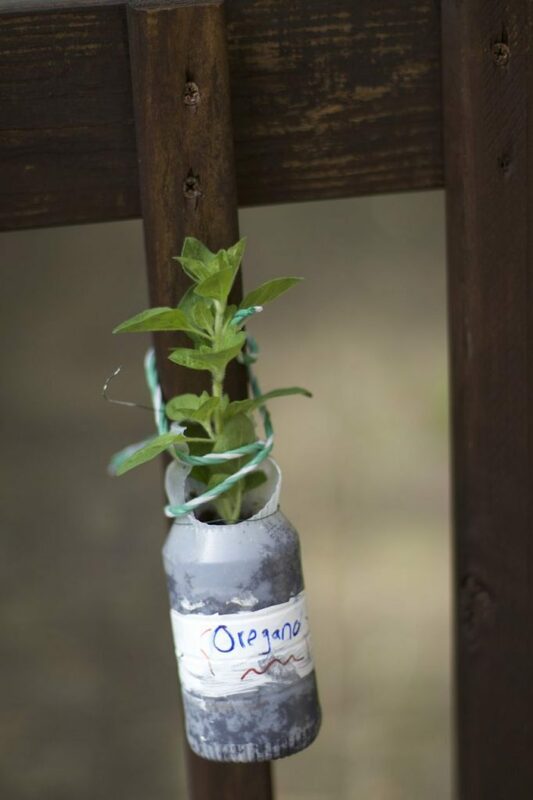 we love reusing bottles. we have a snow cone maker and instead of buying the bottles for the flavors we reuse bottles like this. These are great ideas. My daughter is all about reusing everything right now. She would love to be able to use her Sunny D bottle. My girls love SunnyD and crafts, so this would be a perfect boredom busting craft idea. I’m going to keep this in mind for the dog days of summer. Thanks! What a fun and practical way to use the Sunny D bottles. I love that they kids could get involved with this craft too. I wish I had seen this earlier. Would have been great for Teacher’s gifts. I’ll keep it in mind for end of year presents! 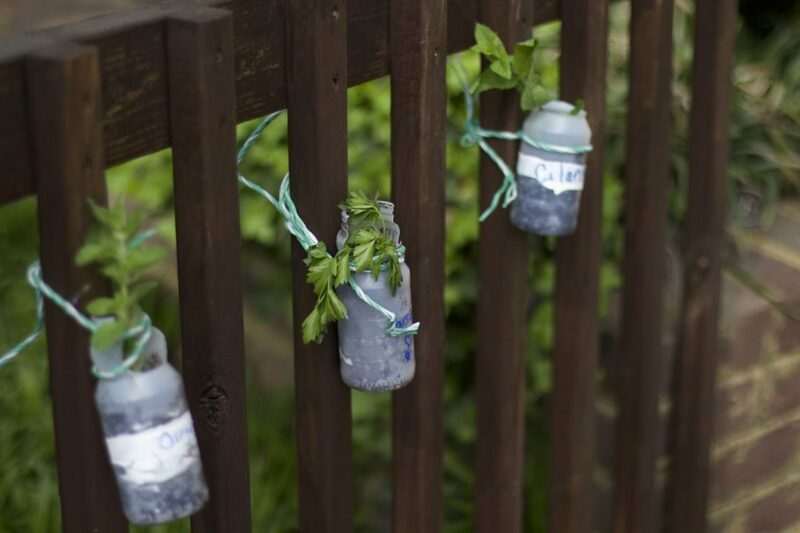 What great ideas for reusing items. I love this. This is such a creative fun craft. I love how bright and colorful it will make the house look with the flowers! What a great idea! I love up-cycling everyday things into something better. 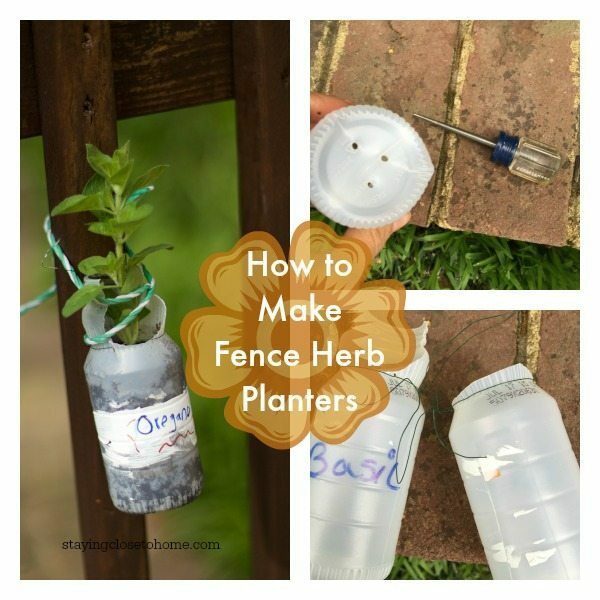 We did a similar thing with 2 liter bottles on our back patio fence, the kids decorated the bottles and they we planted plants in them and hung them on the fence. Definitely a great way to upcycle! What a cute craft idea! I love the painted ones! My kids are going to love making their own, thanks! This will fit nicely into our summer activities list. We are going to do all sorts of activities this Sumner with re-purpose as our theme. Was one thing now it’s another. That is such a neat idea for those bottles! I love when things can be turned into fun kid projects! I never thought of using bottles in this way. What a great idea. I think another cool idea would be turnings these bottles into wind chimes. What a cute idea. I am totally trying this with my kids.